Echo Buttons deliver an interactive way to play games with friends using Alexa. Enjoy hours of entertainment with more than 100 compatible Alexa Skills like Bandit Buttons, Trivial Pursuit Tap from Hasbro, and Alien Decoder. Echo Buttons are the first Alexa Gadget, a new collection of accessories that enable fun and playful Alexa experiences. Customize your own trivia game skill with Alexa Skill Blueprints. 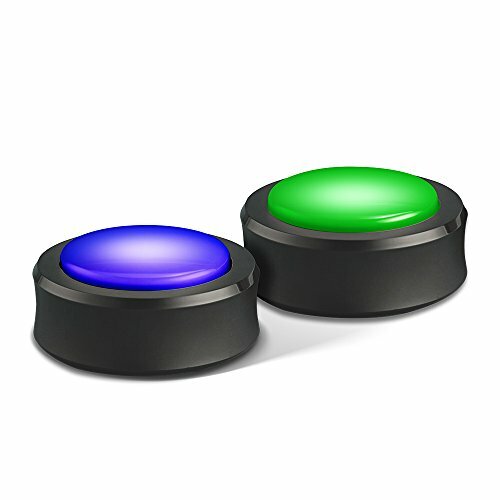 Each Echo Button requires 2 AAA batteries. Includes 4 AAA batteries.